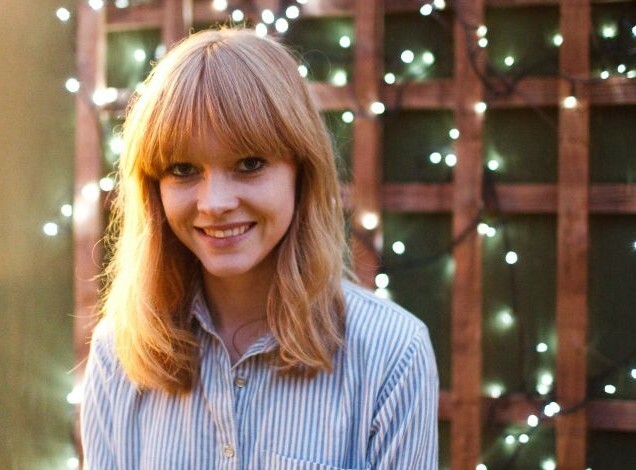 I first heard of Lucy Rose whilst walking past my local record store. My friend pointed to a poster in the window and asked me if I knew of her; I didn’t. I promised myself that I would go home and search for her on YouTube; I never did. So, a week later I end up hearing a folky, young sounding female voice coming at me from the radio one morning, and I just want to stop everything I am doing to listen. ‘Bikes’ is playing, and being one of her more upbeat songs from her first album ‘Like I Used To’, it still sounds soft and peaceful and good. Innocent. This music sets you into some kind of trance, every song with its hypnotising speedy guitar riffs, and the accompanying husky voice of Lucy Rose. Sometimes, it’s hard to even notice any music at all, it’s just her voice speaking to you her troubles and opinions on everyone and everything in the world. ‘Lines’ for example, starts with the line ‘If you can see through it all/ If you can see that I’m here/ Did the moment pass you by’, with little to no sound backing her voice. This way, you can really hear what she is pissed off about. ‘Red Face’, ‘Middle of the Bed’ and ‘Shiver’ are also the product of some kind of life dilemma. Towards the middle of the album, it’s as though it’s progressed, and there’s ballsy ideas coming from the songs. You can see it in the song titles. Compared to the beginning few songs, they develop into ‘Don’t You Worry’, ‘Be Alright’ and ‘Little Brave’. However, the songs don’t get anymore upbeat, they still keep their relaxing sweetness. I do love Lucy Rose. I can listen to her, curled up in a ball on my bed with a cup of tea, all through winter. But sometimes you need something to get you out of bed, and this album won’t do that so don’t expect to be too uplifted by the album other than ‘Bikes’. However, this album is what it is. What you see is what you get, quite literally- Lucy Rose is lying on her back in the middle of a field, alone, probably sad. Saying that, there is a need for albums like this, like how Bruno Mars can’t stop crying and threatening to kill himself. This is a little softer, less suicidal, I guess.